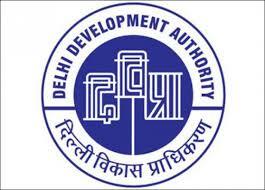 As you already know Delhi Development Authority DDA has invites application for the various post. if you have applied for DDA examination and waiting for the exam. we have a good news for you, DDA exam may be held on August 2016 Onwards and admit card will be available before 15 days of the exam. Today we are going to provide you DDA Syllabus and Exam Pattern for DDA Junior Engineer which may be held on August or September 2016. 1- Building Materials: Physical and Chemical properties, classification, standard tests, uses and manufacture/quarrying of materials e.g. building stones, silicate based materials, cement (Portland), Asbestos products, Timber and Wood based Products, laminates, bituminous materials, paints, varnishes. 2- Surveying: Principles of surveying, working of properties, compass and bearing, plane table surveying, theodolite traverse, adjustment of theodolite, levelling and contouring, curvature, refraction, permanent adjustment of dumpy level, methods of contouring and uses of a control map, tachometric survey. 3- Soil Mechanics: Origin of soil phase diagram, definitions of void ratio, porosity, degree of saturation, water content, specific gravity of soil grains and unit weights, grain size distribution curves for different solid and their uses. Atterjerg's limits, ISI soil classification, plasticity chart, coefficient of permeability, effective stress, consolidation of soils. Calculation of shear strength of soils, direct shear test, vane shear test, triaxial test, soil compaction, Lab compaction, Lab compaction test, moisture content and bearing capacity of soils, plate load test, standard penetration test. 4- Hydraulics: Fluid properties, hydrostatics, measurements of flow, Bernoulli's theorem and its application, flow through pipes, flow in open channels, weirs, flumes, spillways, pumps and turbines. 5- Environmental Engineering: Quality of water, source of water supply, purification of water, distribution of water, need of sanitation, sewerage system, circular sewers, oval sewer, sewer appurtenances, surface water drainage, sewage treatments. 6- Structural Engineering: Theory of structures: Elasticity constants, type of beams, determinate and indeterminate, bending moment and shear force diagrams of simply supported, cantilever and over hanging beams. Moment of area and moment of inertia for rect. & circular section, bending moment and shear stress for tee, channel and compound sections, chimneys, dams and retaining walls, eccentric loads, slope deflection of simply supported and cantilever beams, critical load and columns, torsion of circular section. 7- Concrete Technology: Properties, Advantages and uses of concrete, cement aggregates quality, water cement ratio, workability, mix design, storage, batching, mixing, placement, compaction, finishing and curing of concrete, quality control of concrete, hot weather and cold weather concreting, repair and maintenance of concrete structure. 8- RCC Design: RCC beams: flexural strength, shear strength, bond strength, design of single reinforced beans, lintels, cantilever beams, double reinforced beams, one way slabs, two way slabs, isolated footings, reinforced brick work. T-beams, columns, staircases, retaining walls, water tanks (RCC design questions may be based on both Limit State method and Working Stress method). 9- Steel Design: Steel design and construction of steel columns, beams, roof trusses, plate girders. 1-Basic Electrical Engg. : Elect. Measurements, Concepts of current, voltage, resistance, power and energy, their units, Ohm’s law. 2- Circuit Law: Kirchooff’s law, solution of simple network problems, Network theorems and their applications, Electro-magnetism, concept of flux, e m f, reluctance, magnetic circuits. Electro-magnetic induction, self and mutual inductance. A.C. fundamentals, instantaneous, peak, R.M.S. and average values of alternating waves, Equation of sinusoidal wave form, simple series and parallel AC. circuits consisting of R.L. and C, Resonance. Measurement and measuring instruments, Moving coil and moving iron ammeters and voltmeters, Extension of range, Wattmeters, Multimeters, megger, Basic Electronics. 3- Electrical machines: Basic principles ofD.C. motors, generators, their characteristics, Speed control and starting of D.C. motors, losses and efficiency of D.C. machines.1-Phase and 3-phase transformers: Principles of operation, equivalent circuit, voltage regulation, O.C. and S.C. tests, efficiency, auto transformers. Synchronous machines, generation of 3-phase e m f, armature reaction, Voltage regulation, parallel operation of two alternators, synchronizing, starting and applications of synchronous motors. 3-Phase Induction motor, rotating magnetic field, principle of operation, equivalent circuit, torque-speed characteristics, starting and speed control of 3-phase induction motors, Fractional KW motors, 1-phase induction motors, A.C. series motor, reluctance motor. 4- Transmission and Distribution: Different types of power stations, Load factor, diversity factor, demand factor, simple problems thereon, cost of generation, inter- connection of power stations. Power factor improvement, various types of tariffs, types of faults, short circuit current for symmetrical faults. Switchgears- rating of circuit breakers: Principles of a extinction by oil and air, H.R.C. fuses, Protection, earth leakage, over current, Buchhotgz relay, Merz- Prince system of protection of generators & transformers, protection of feeders and bus bars. Lightning arresters, Various transmission and distribution systems, Comparison of conductor materials, efficiency for different systems. Utilization of Electrical Energy, Illumination, electric heating, Electric welding, electroplating, electric drives and motors. 1- Flow of Fluids: Laminar & turbulent flow, equation of continuity, Bernoulli’s theorem, measurement of discharge, flow through pipes, friction losses, Forces of jet impinging on vanes, blades, work done and efficiency, classification of turbines & pumps. 2- Thermal Engineering: Laws of thermodynamics, change in entropy in various processes; uses of steam, Properties of steam table & charts; Construction & Working of Cochran, Lancashire locomotive & Babcock & Wilcox boilers, working of steam turbine, Otto & Diesel Cycles, working of IC engines, Carburetion, Solex Carburettor. Diesel fuel, pump & injector: Cooling & lubrication. 3- Production Engineering: Foundry- Different casting processes, concept of Patterns; types of mould making, purring defect in castings, causes & remedies, Welding-classification and types of welding, Testing and defects in welds. Lathes- working of lathe, various tools, operation on lathes, types of lathes. Drilling operations performed on drilling machines. Description, principles of working and various operations on machine tools, milling machine, shaper, grinder, boring and slotting machines. 4- Strength of Materials: Stresses in composite bars, relation between elastic constants, Resilience under different types of loads, SF and BM diagrams; stresses in beams-combined direct and bending stresses, Struts and columns – Euler’s and Rankin’s theories, Torsion of circular shafts. The medium for Written Examination will be Hindi or English. Beware of other blogs and website that provide wrong information about the syllabus of DDA Junior Engineer Exam. Admit Card link will be available on our blog soon. Good luck for your upcoming exam.